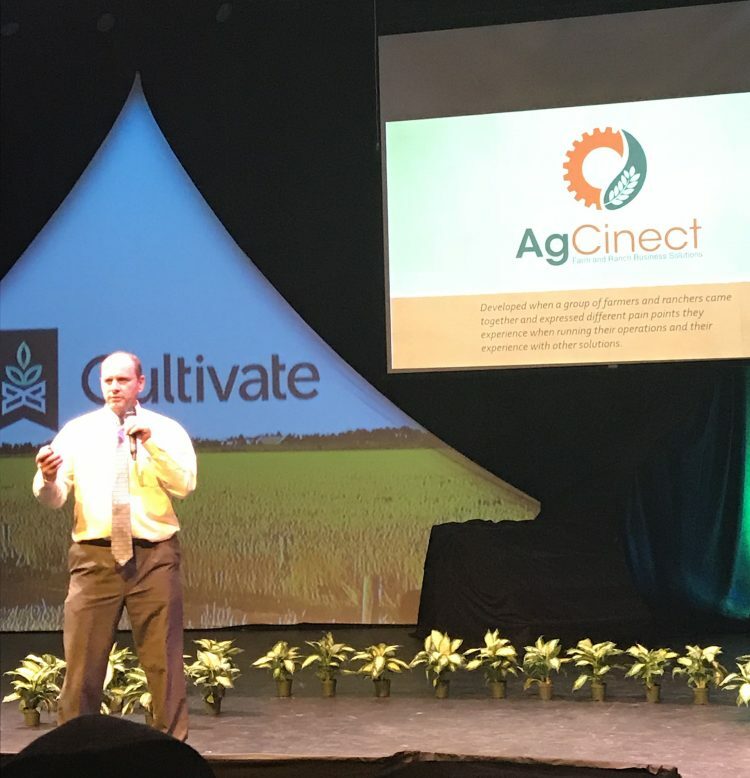 The AgCinect team was happy for the opportunity to present at this years Cultivate 2018 AgTech conference on November 15th in Fargo, North Dakota. We would like to thank Emerging Prairie for putting on this event for the second year. It is a great way for anyone involved in the agricultural industry to be introduced to the latest technology available. Cultivate is a conference showcasing emerging technology in agriculture that convenes leaders to explore tech innovations they’ve created, are currently building, or are searching for in their industry. The conference was attended by investors, bankers, farmers, and a variety of AgTech companies from all over the region. AgCinect is a software application for producers to integrate, enter, organize, share, and analyze data from their entire operation. AgCinect was developed when a group of farmers and ranchers came together and expressed different pain points they experience when running their operations. Also, the challenges they experience with other solutions they have tried. To learn more about the AgCinect solution email toddnagel@agcinect.com or call (701) 355-6406.